In this tour you will learn more about Treblinka death camp where almost 1 million Jewish people where killed during World War II. In Treblinka’s gas chambers even up to 15, 000 people were killed every day. When visiting Treblinka you will find out how the camp functioned and watch the testimony of the few survivors. You will see the symbolic monument that commemorates over 900, 000 Jews murdered there. 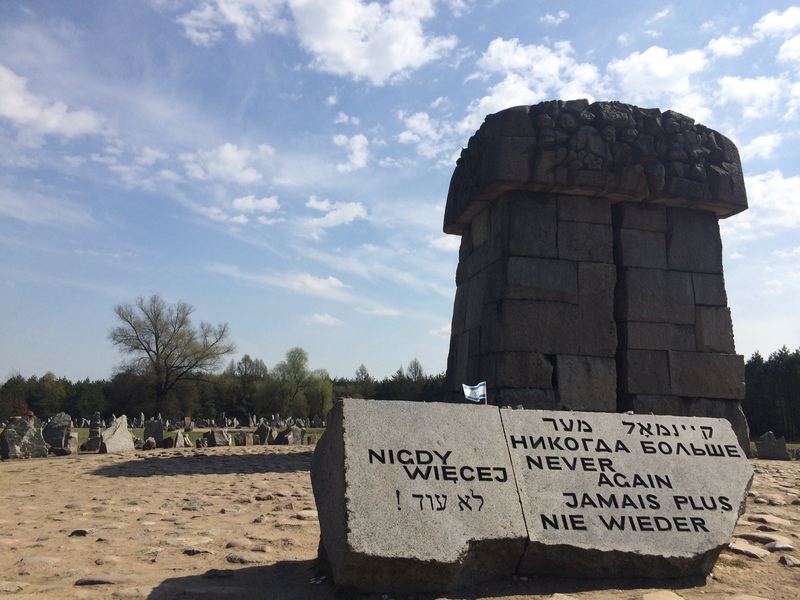 If you are interested in the Holocaust history, a tour to Treblinka is a must visit. The tour begins with an introduction in Warsaw where you will see the monument to the Heroes of the Ghetto, area where the ghetto was and Umschlagplatz monument. Total price for a group up to 3 persons. For larger groups please contact me for a quotation. “My friends and I took the Treblinka tour with Ula earlier this year. Very professional service from the time Ula collected us from our hotel until we returned later that day. Along the drive Ula pointed out local points of interest and was very knowledgeable and answered the hundreds of questions that we asked! The Treblinka tour itself was really interesting and Ula never once rushed us whilst we took umpteen photos. I would have no hesitation in recommending her for any tour. Should we return we will definitely contact Ula.” Donna, England, April 2018.